My daughter Katie and I have a lot in common. We both love the adventure of travel, a good, Kleenex-worthy chick flick, and brunch and bubbly on Sundays. But, above all, it’s music that we both love to share. I can’t even count the number of artists we’ve seen or the venues we’ve visited. Near or far, watching live music has always brought us together. 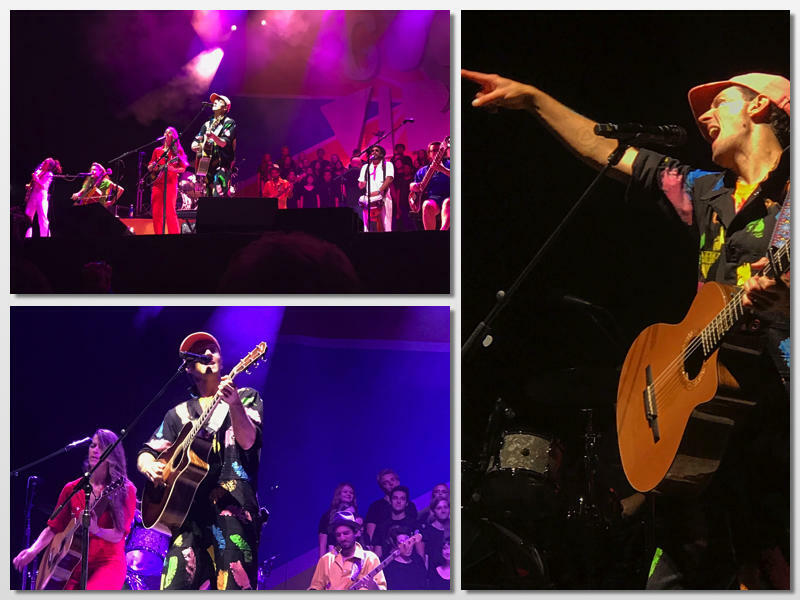 So when we heard that one of our favorite artists, Jason Mraz , (seen 12 times ) was coming to the FivePoint Amphitheater in Irvine, we couldn’t miss out on the chance to share another show, right in our own hometown. Katie doesn’t live here anymore, but that didn’t keep her from the concert. She simply hopped on the Amtrak Pacific Surfliner at Union Station in LA after work and bypassed the rush hour traffic altogether. This was our first visit to FivePoint Amphitheatre, which is open for its first, full summer season. 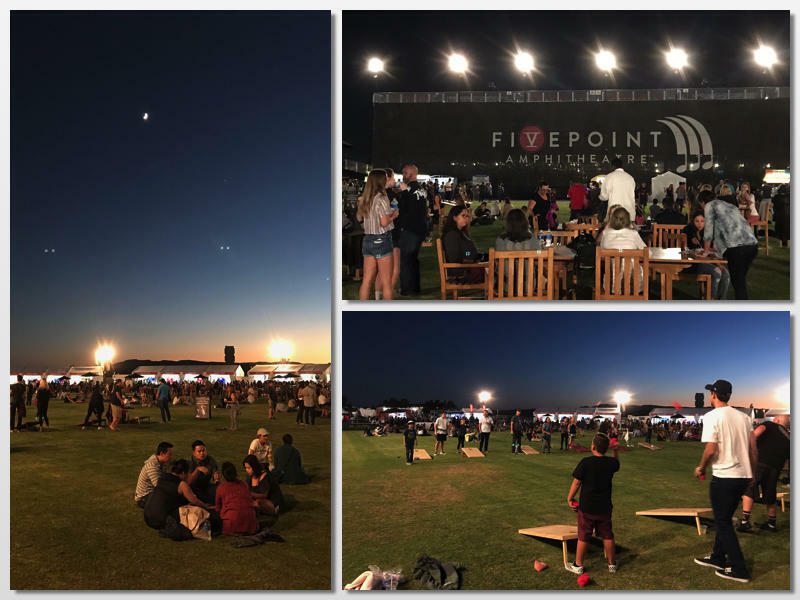 It’s located in Irvine&apos;s Great Park, which describes exactly how the experience feels; couples are picnicking on the lawn, friends are tossing bean bags in a game of corn-hole. Think “Saturday in The Park,” except that it’s Friday night and everyone is enjoying the moonlight. 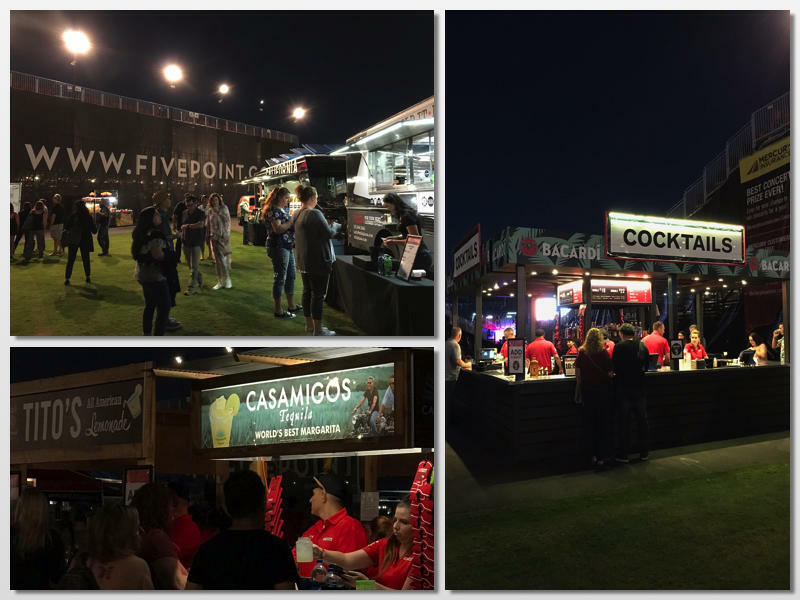 Fun, foodie options surround the lawn, with plenty of options to choose from, like Hanjip Korean BBQ and Tackle Box Tacos. Cocktails and beer vendors are plentiful, so there’s no need to wait in a long line for Happy Hour to begin. We ordered a plate of spicy, chicken dumplings and a cold beer and relaxed on the grass. The park-like, pre-concert atmosphere is a big part of the FivePoint Amphitheatre experience and it&apos;s definitely worth getting there early. The venue has a seating capacity of 12,000 and is temporary but top-notch. There’s not a bad seat in the house, from upper bleacher seats to the comfy, padded chairs down front. Great acoustics and jumbo screens make sure everyone is part of the show. 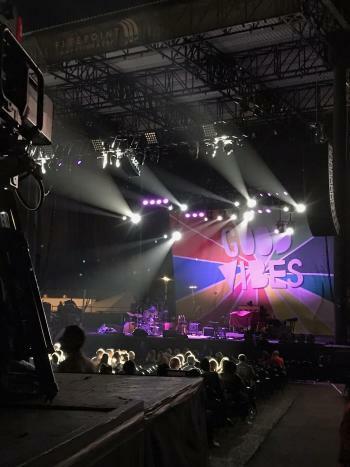 Best of all, FivePoint Amphitheater brings artists right to the heart of Orange County, with no crazy drives in LA traffic to contend with. Then we toasted to concert #13, our newest, local venue, and we welcomed Jason to Irvine. 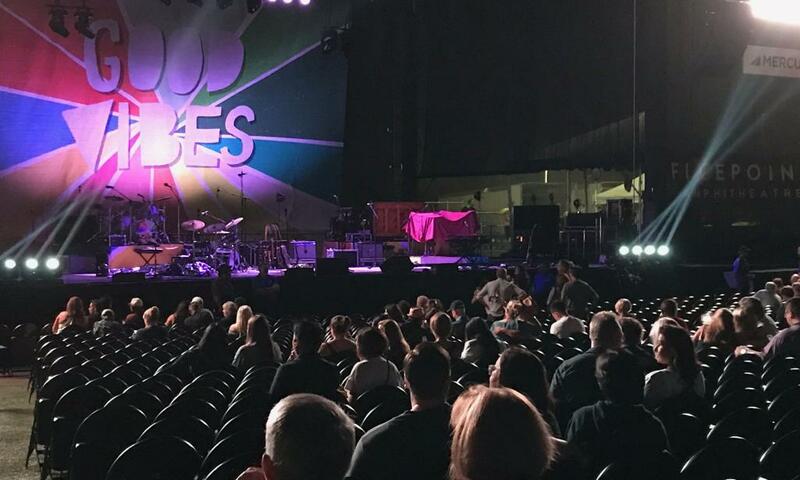 There are lots of great places to see live music in southern California, but for an excellent concert experience only minutes from your front door, FivePoint Amphitheater proves that there’s no place like home.